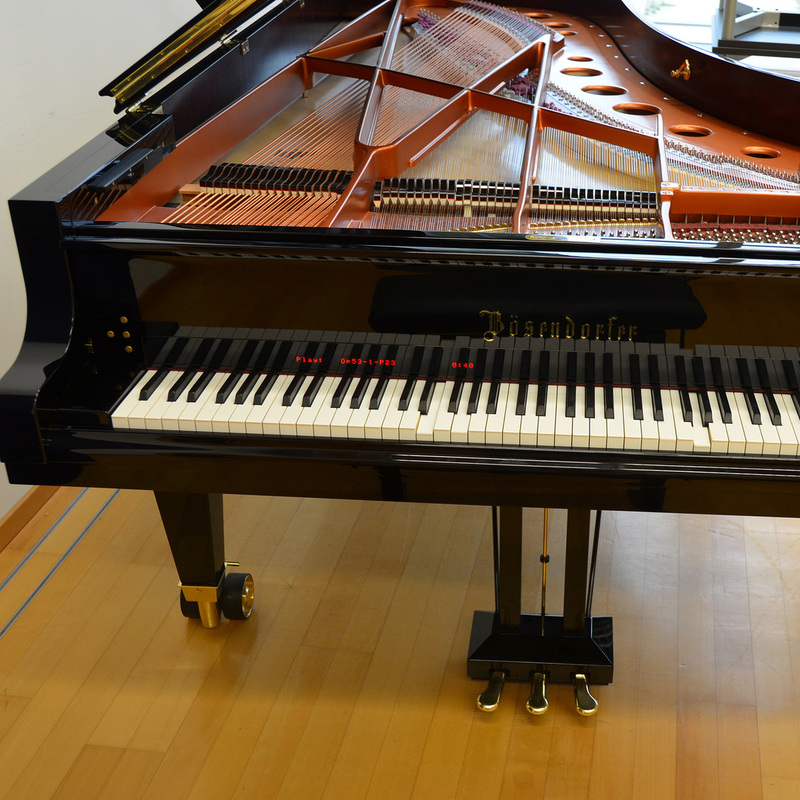 An integral part of IWK's Performance Science Laboratory is a marvelous Bösendorfer CEUS computer-controlled grand piano. 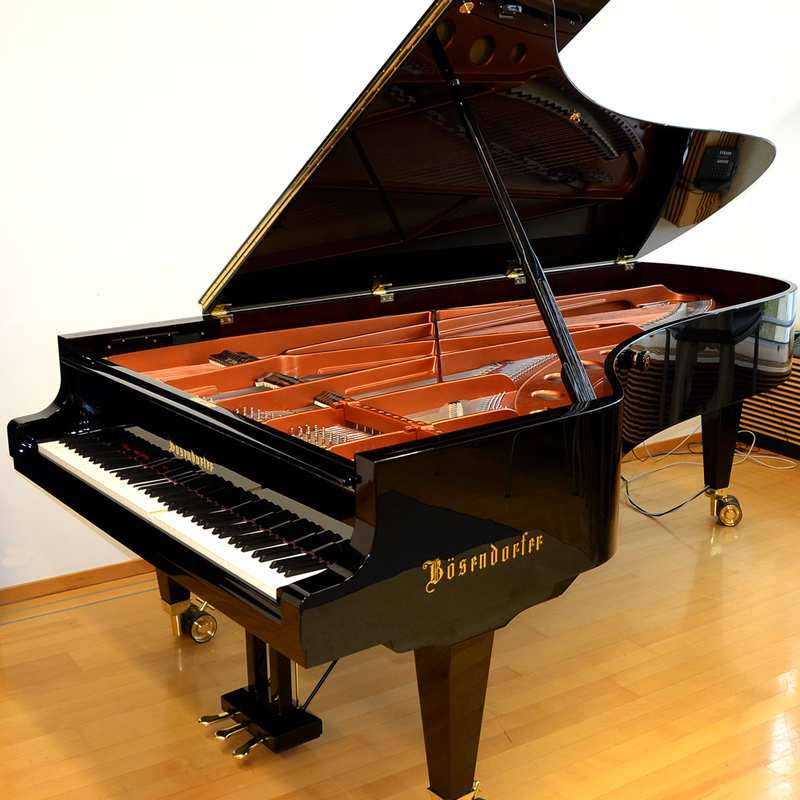 It contains a complex embedded measurement and reproducing system built into an acoustic concert grand piano 280-VC (Vienna Concert), the new grand piano generation by the Bösendorfer factory that, among many other design factors, features a proper duplex scale in the treble range. 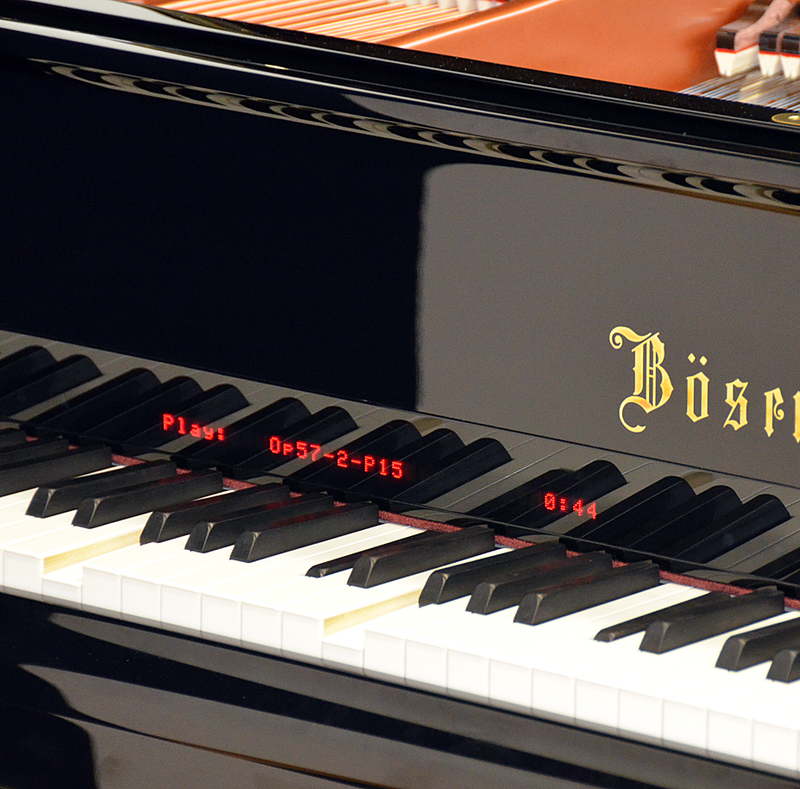 The Bösendorfer CEUS system records optically for each of the 88 hammers the exact time and the final velocity with which they bounce against the strings, as well as the position histories of all three pedals. Additionally, and this is a feature unique to the CEUS system, it monitors and records the continuous position of each of the 88 keys, thus capturing a central expressive feature called "Piano touch". We use these data to study various expressive aspects in expert piano performance. Moreover, the CEUS system has powerful solenoids placed beneath each key to play-back the exact movement of each key so as to reproduce as precisely as possible the individual performance of a pianst previously recorded. To move the three pedals, it has particularly large pedal solenoids (see photo) attached via metal cables to the pedal action. 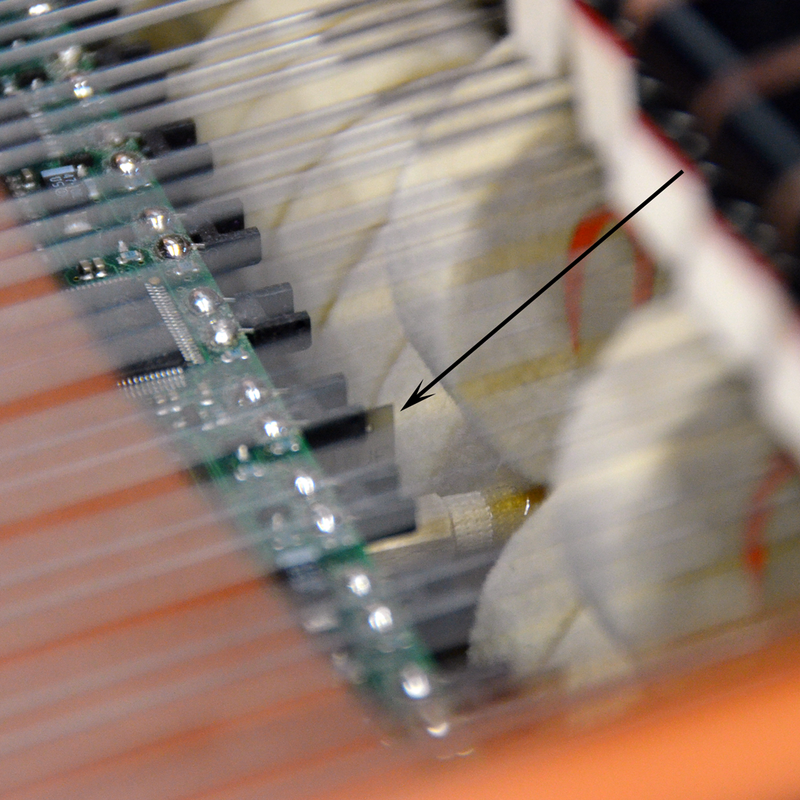 As the quality of the piano and the unobstrusive embedded CEUS system (you might see the cables exiting at the lower end of the back foot) enables us to use this piano live on stage in international competitions, such as the International Haydn Competition or the International Beethoven Competition, capturing professional performance data in real, high-stress performance situations. This setup offers unique insights into professional on-stage performance and its institutional assessment through competition juries. 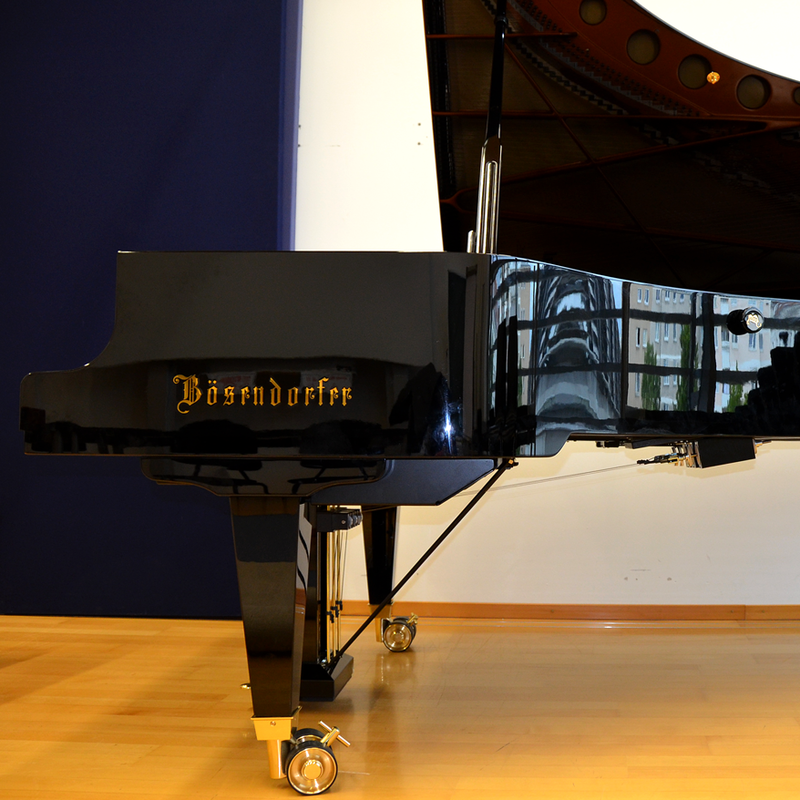 The Bösendorfer CEUS was co-financed through the University Infrastructur Programme of the WWTF Vienna Science and Technology Fund. It is listed as large equipment in the Research Infrastructure Database of the Federal Ministry for Education, Science and Research.